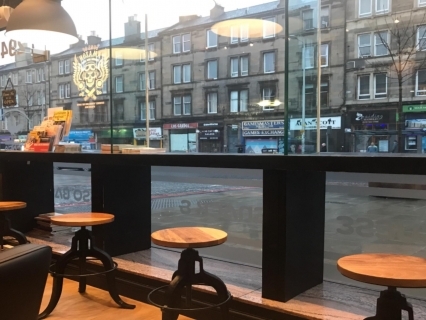 Central Business Sales is delighted to offer to the market a highly successful well established and popular city centre bakehouse. The 30 cover bakehouse has a full class 3 hot food restaurant licence and is in fantastic condition throughout. A new owner could turn it into a restaurant and extend the current opening hours if desired. The business is currently run as a bakehouse with an excellent food menu, including freshly baked pastries and savouries. A range of teas and coffees are services The premises have a full class 3 hot food licence, meaning a new owner could extend the menu to offer a different style of food. The large premises are approximately 120m² and is in excellent condition throughout. The fully glazed single front entrance leads into the main seating area with a serving and preparation area. There is a further seating area on the lower level with a large fully equipped kitchen. All the equipment, fixtures and fittings are included in the sale. The business is being offered to the market on a leasehold basis with a long term lease in place. The rent is £21,000 per annum with £500 per month rates payable. The business is currently open from 07:30-17:30 7 days a week and is run by the owner, alongside 7 employees.